Blog »What is man that You are mindful of him? I still remember a conversation I had with Izzy way back when we were dating in 2010. We were talking about goals and dreams for our future. We talked about where we pictured ourselves in 5 or 10 years. I remember he said that he dreamed of someday opening a “Micah Project” elsewhere. Maybe in another part of Honduras. Maybe in neighboring Nicaragua or Guatemala or his home country of El Salvador. Maybe even in Africa or Asia. We talked about the possibilities, but at the time we were still in our infancy as a couple and as missionaries at Micah, and so we left that idea on the back burner as a potential part of our 10-year plan. Well, fast-forward a few years and God brought that dream back into focus, back into front-and-center. After much prayer and wisdom-seeking we believe that now is the time to pursue this dream. We are excited/nervous/hopeful/(insert every other emotion) to share with you that we are beginning the process of starting a new ministry with street children in El Salvador! As Izzy says, we love Micah so much that it would be selfish of us not to share it with others. So share it we will. "What is man that you are mindful of him, and the son of man that You care for him?" 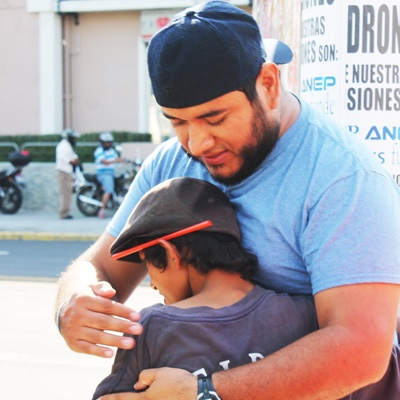 Lord, equip us to be Your hands and feet to the people of El Salvador, so that we can show them how You care for them, just as You have shown us in so many ways how You care for us? Great written article, feeling happy to see these kind playing early in the morning. I found some motivational stuff here. Your website https://www.huffingtonpost.com/donna-marie-williams/college-students-use-essa_b_8773028.html have amazing content which can help newbies to make a unique decision right now. I am new in the blog writing.All types blogs and posts are not helpful for the readers.Here the author is giving good thoughts and suggestions to https://www.assignmentcloud.co.uk each and every readers through this article.Quality of the content is the main element of the blog and this is the way of writing and presenting.Waiting for again wonderful blogs or posts.Feel free to surf for reducing writing stress.